Our media relations philosophy is led by a research-driven strategy that builds relationships with media. We take time to learn what a journalist wants and build careful pitches accordingly. We consider journalists more like colleagues. This analysis – taken in tandem with customer demographic research – helps us focus and better tie our PR program to business objectives. OSP also views social media as a part of the regular media mix. Depending on the pitch, a blogger can wield more influence than a traditional journalist. Our approach to media relations transcends industries. The system is the same whether pitching to a consumer TV show or a niche trade journal. 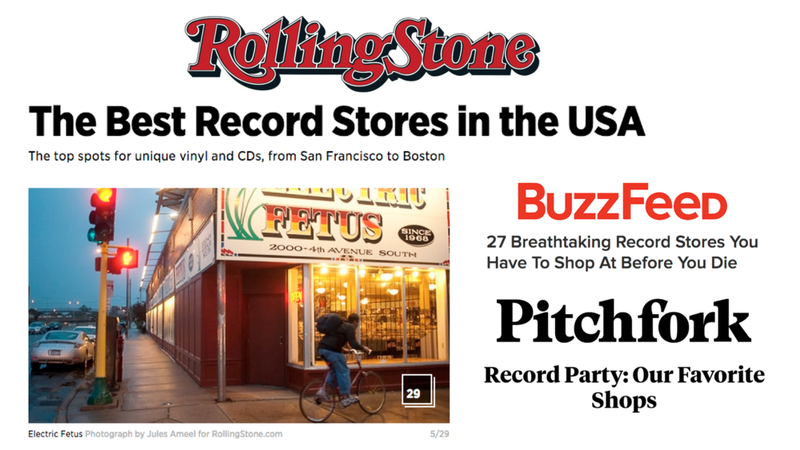 OSP helps Electric Fetus stay in the spotlight locally – which has often translated into inclusion in national "best of" lists and coverage by national music media. OSP works with The Fetus to create a steady drumbeat of events and activity to insure the brand is never far from the spotlight. This helps keep the store on national media's radar.